OAHU, Hawaii — A thunder storm left most of the Hawaiian island of Oahu without power Saturday night. The blackout left about 800,000 residents and tourists — among them vacationing President-elect Barack Obama and his family — in the dark. The blackout began when a lightning strike at 6:05 p.m. local time overloaded the system, knocking out several generators. The Obamas were then at their vacation home, having returned from the excursion the press had dubbed 'Waikiki-gate.' That house lost power at 8:08 p.m., and by 8:35 p.m., all 11 of the island's generators were out. 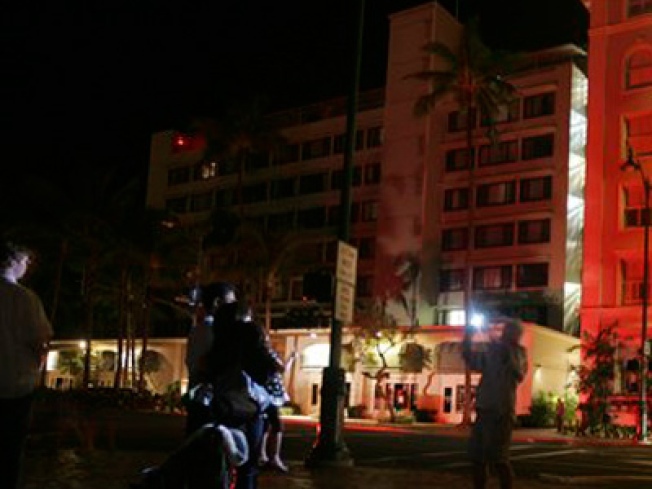 While the transition has yet to issue any statement about the blackout, Honolulu Mayor Mufi Hannemann told reporters that he had contacted Obama at 9:30 p.m., and that the president-elect said everything was fine and he was going to bed to sleep through the outage. By that point, the Obamas had power supplied by a portable generator.